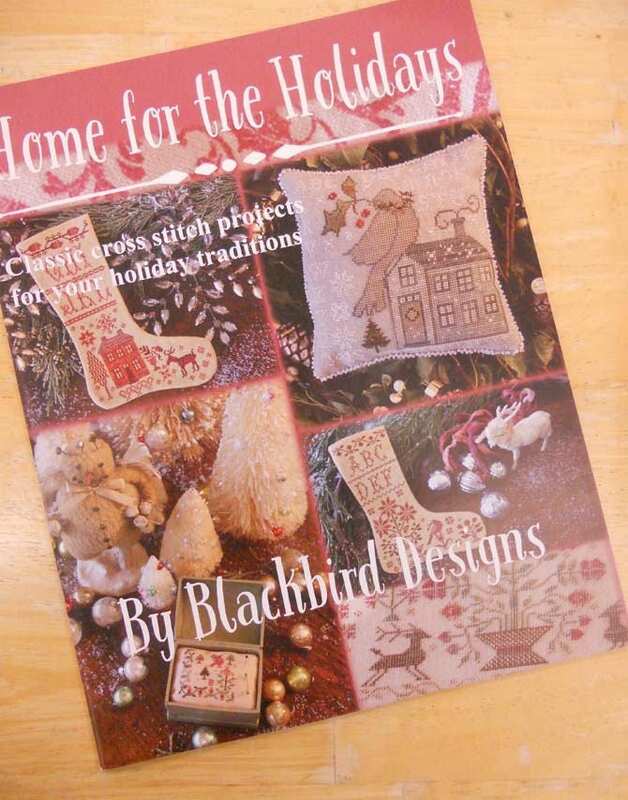 Home for the Holidays cross stitch pincushion kit, by Blackbird Designs. 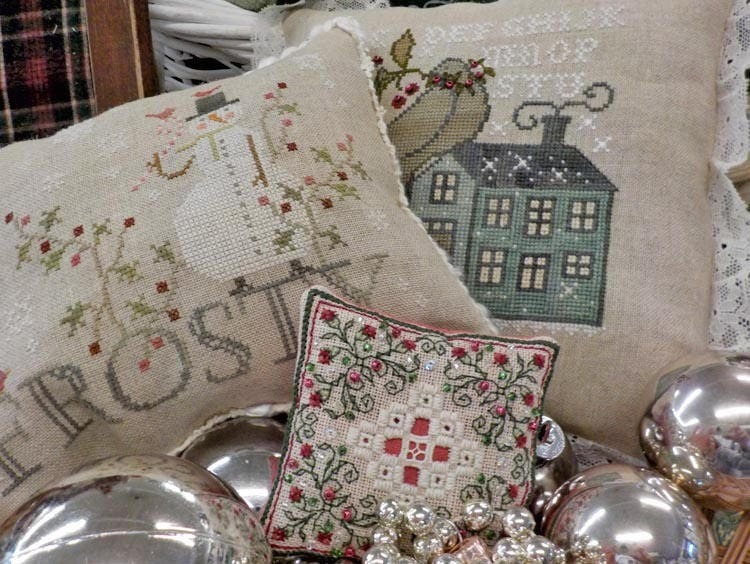 This little pincushion is darling tucked into your holiday table display. 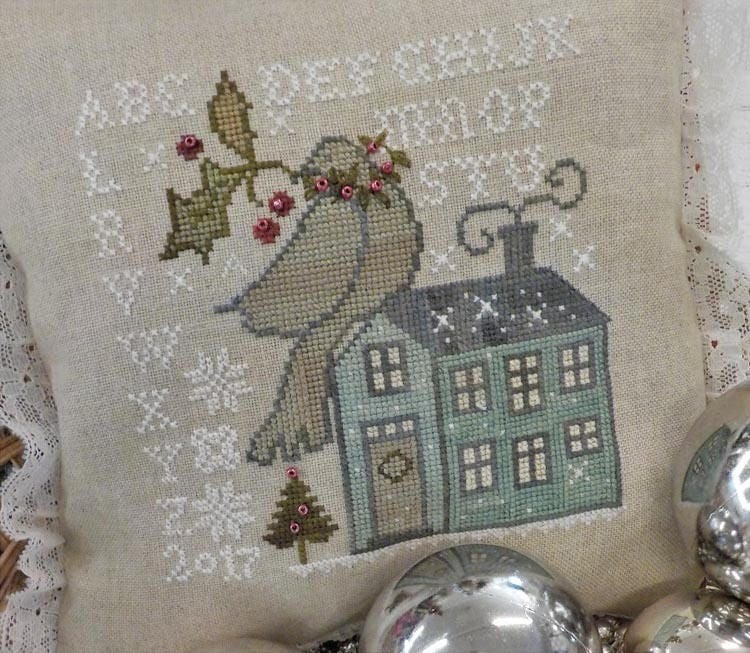 We turned this little darling into a pillow...which finishes at 6 x 6 inches. 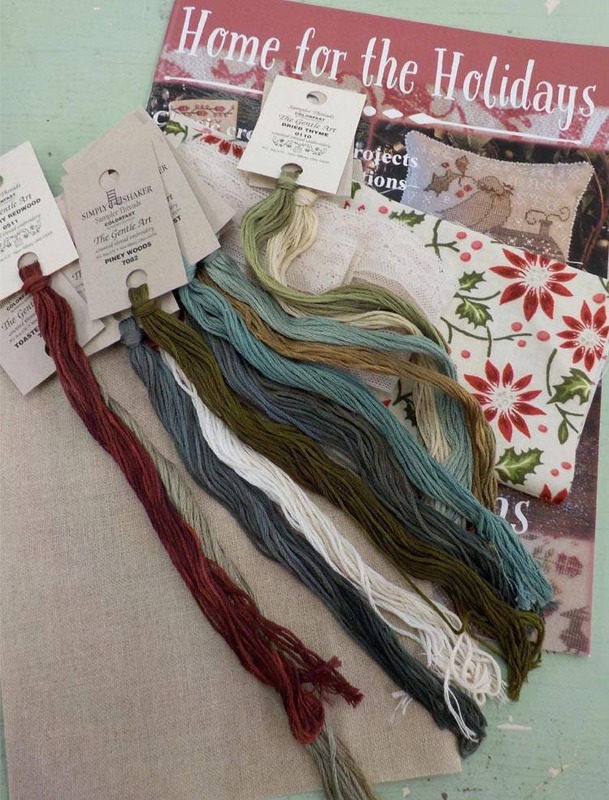 This project book is a wonderful addition to any cross stitcher/quilters/crafters library.